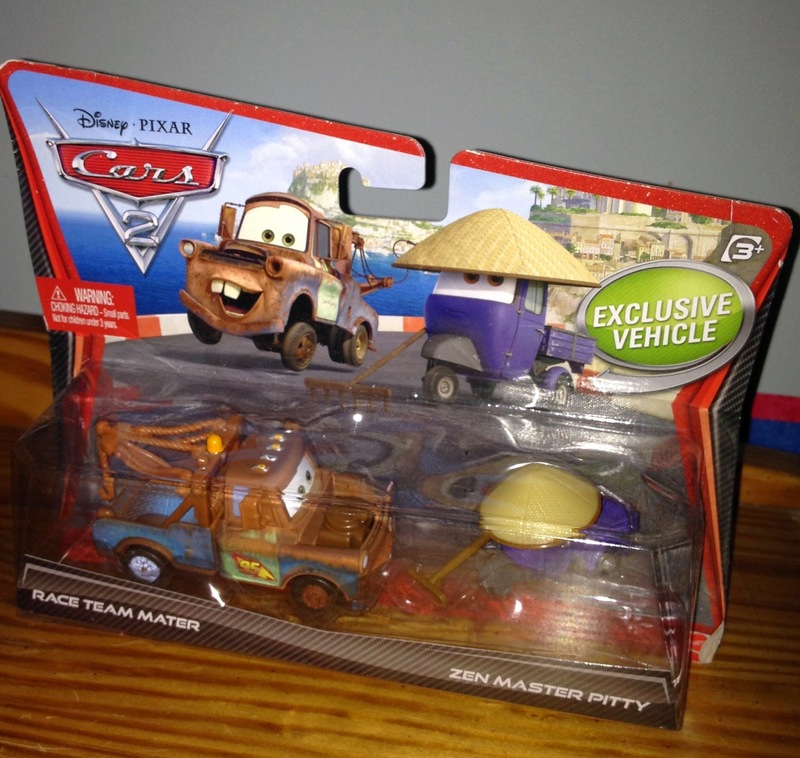 This "movie moments" 2-pack was part of the very first wave of Mattel Cars 2 releases back in the late Spring of 2011 and features Race Team Mater and [the hilariously designed] Zen Master Pitty. As usual, these are 1:55 scale diescast cars with added plastic accessories. Strangely enough though, this set still lingers on some store shelves even now. I just saw them at my local Kmart not too long ago! 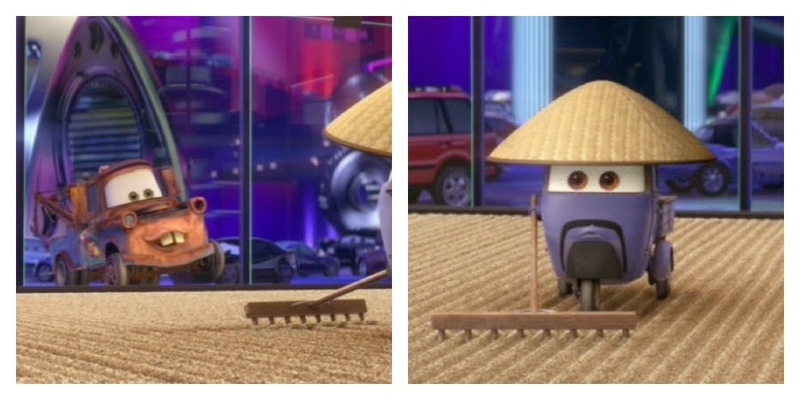 As you may notice from the screen shot from the film above, Zen Master Pitty (who is seen raking the zen garden at the Tokyo WGP party) actually has "facial hair" that was not featured on the diecast or on the packaging. My guess is that the Zen Master's goatee was a last minute addition/tweak to the film that Pixar added late in the game, presumably after this toy was produced my Mattel. While the Zen Master Pitty was only released in this 2-pack, Race Team Mater (which sports Lightning Mcqueen's "95" logo on either side of him) has been released numerous times in both multi and single packs.